Formerly the Eastern New England Baseball Umpires Association (ENEBUA). The Eastern New England Baseball Umpires Association was formed in 1975 as a result of a merger of the then two existing boards, the Eastern Baseball Umpires and the New England Baseball Umpires. In 2003, the membership voted to change the name of the association to the Eastern Massachusetts Baseball Umpires Association (EMBUA) to more accurately depict the geographical location of the membership and the area it services. 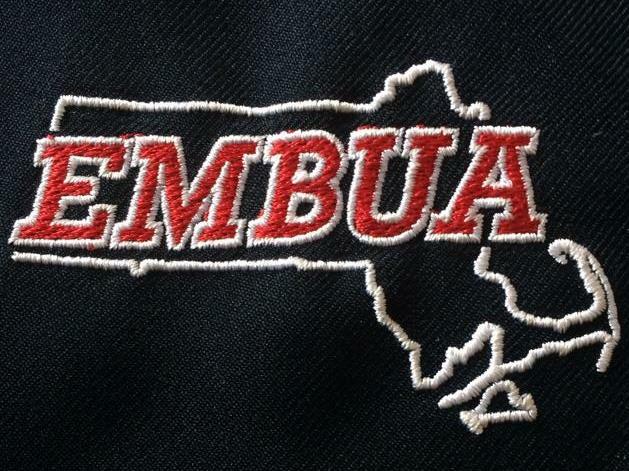 The EMBUA is the largest member board of the sixteen member boards that comprise the Massachusetts Baseball Umpires Association (MBUA), the governing board of all Massachusetts baseball umpires. The EMBUA enjoys a long and proud tradition of providing certified and qualified umpires to all levels of baseball for all baseball programs in Eastern Massachusetts and beyond. Be a part of that proud tradition, join the EMBUA.